After the success of the first edition of the Japanese Playwrights Project (JPP) in 2007 once again the Segal Center brings some of the brightest, most innovative, and most engaging emerging playwrights from Japan to New York to develop their pieces through translation into English and public readings of the work. The Japan Playwrights Project plays an important role in introducing contemporary writing and dramaturgy from Japan to the US. The Japanese Playwrights Project 2018 was made possible by the generous support of the Japan Foundation, New York (Koji Nozaki, Sanae Tani, and Kenji Matsumoto). Additional support for English translations by the Japan Playwrights Association. 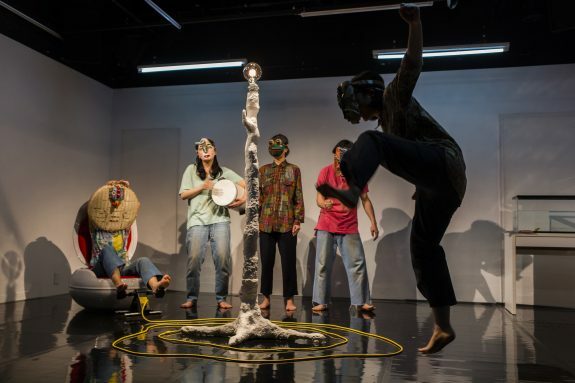 The Japanese Playwrights Project 2018 was initiated and realized by Frank Hentschker and Aya Ogawa. Board of Advisors – Japan: Peter Eckersall, Shintaro Fujii, Kako Kishimoto, Hiromi Maruoka, Aya Ogawa, Toshiki Okada, and Masahiko Yokobori. Board of Advisors – New York: Peter Eckersall, Anne Erbe, Frank Hentschker, Andrew Kircher, Kate Loewald, Aya Ogawa, and Yoko Shioya. Participants of the 2007 JPP included Masataka Matsuda, Akio Miyazawa, Toshiki Okada, and Mikuni Yanaihara. Josh Fox/International WOW Company; Dan Safer/Witness Relocation, Jay Scheib, and The Play Company each presented successful productions in New York theatres. On a fictitious island in the south, an island dictator addresses his countless soldiers before a battle. In part he recounts the story of how he, the king of the island himself, arrived on the island and encountered the first natives there. He goes on to describe the lengthy history of how he brought “civilization” to the island, and recounts his violent encounters with his rival, a monstrous bird of the island. Soon the island is wracked by a huge earthquake, followed by the arrival of a wave of foreigners. With the new inventions brought onto the island, the island itself is transformed irrevocably. The king’s words gradually become the voice of the island itself. With references to real historical events, this play portrays an epic and mythological reflection on colonization, immigration, culture and civilization. The 2016 mass murder of disabled people that shook Japanese society to the core was the departure point for the playwright. The play turns a critical eye towards contemporary society’s value judgment on issues of ideology of eugenics, and the aging population. The play is comprised of three acts in three different styles (Act 1 as rakugo, a traditional Japanese stand-up comedy form; Act 2 as a music piece; and Act 3 a seminar) and performed primarily by a single performer. The second act requires live accompaniment by a pianist, featuring compositions by emerging composer Masashi Nukata (Tokyo Siokouji / nuthmique). The actor Kyoko Takenaka was the first Japanese actor to be accepted into Frances’ École nationale supérieure d’art dramatique de Montpellier as an actor. This performance for JPP is a simplified version of the full production and is performed by one main actor. Yudai Kamisato is a director and playwright, and the head of Okazaki Art Theatre. 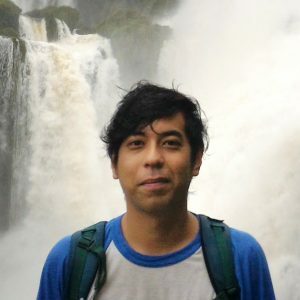 He was born in Peru in 1982 and in now based in Tokyo and Kawasaki. In his teens, he lived for a few years in the Republic of Paraguay and the United States of America. In 2006, he became the youngest person ever to win the first prize in the TOGA Directors Competition for his staging of Desire Caught by the Tail, a farcical play with a script by Pablo Picasso, and he won the prize for the Kishida Kunio Drama Award in 2018 with The Story of Descending the Long Slopes of Valparaíso which premiered in Kyoto Experiment 2017. He made his debut as a novelist in 2013. In October 2016, he undertook one year of residence in Buenos Aires, Argentina under the Program of Overseas Study for Upcoming Artists offered by the Japanese Agency for Cultural Affairs. Between fiscal years 2011 and 2016, he served as a junior fellow of The Saison Foundation. More recently, he has been creating works that derive from heightened interest in his own identity and reflect deep insights into problems confronting immigrants and workers, the relationship between the individual and national identity, and communication with contemporary others. Satoko Ichihara is a playwriter, director and novelist. Born in 1988. Studied theater at J.F. Oberlin University. Ichihara narrates the absurdity of life and the vitality of humans who shine in the rankling world from the perspective of women, delivered mainly through monologues. While setting great value on the bodies of performers, she also emphasizes the expression of texts and their rhythms. Her works are carefully built as if from an outside perspective into the behaviors of humans and animals, and aim to immerse the audience in the vibrancy and the bounding pulse of life. 2011, Receives the Aichi Arts Foundation Drama Award with the play “Insects” .2013, Serected to stage “Qlobe of Life Ⅱ” as part of the Festival/Tokyo. 2016, Released the novel “Insects” in the literary journal “Subaru”. 2017, Nominated for ﬁnalist of 61st Kishida Kunio Playwriting award for “Favonia’s Fruitless Fable”. Invited to present “Favonia’s Fruitless Fable” at the Seoul Marginal Theater Festival. 2018, Selected to The Saison Foundation Junior fellow Artist.